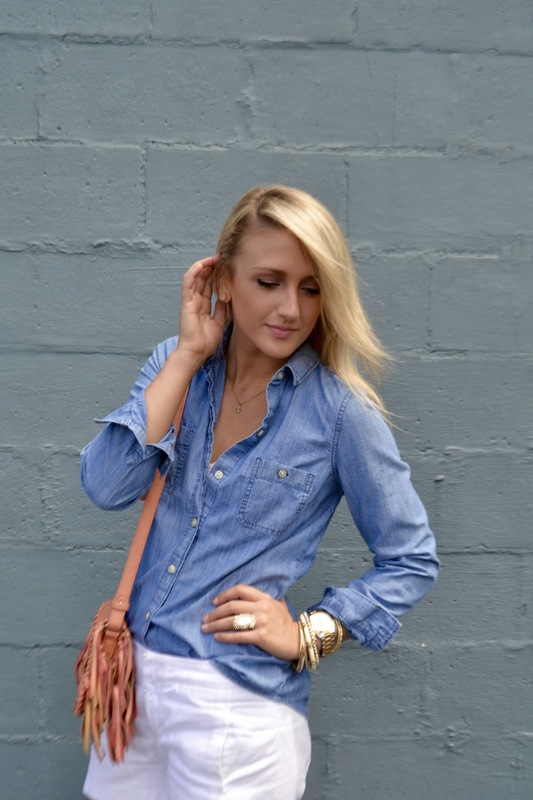 Chambray button downs are the perfect transitional shirt from summer to fall. Right?? They're light, comfortable and a nice change of pace when you're not ready for a summer dress! There are all kinds of occasions in the summer and fall, not all call for getting dolled up! That's where this top comes in. Pair with shorts in warmer weather and capris when things start to cool off - you'll get all kinds of looks from this piece! 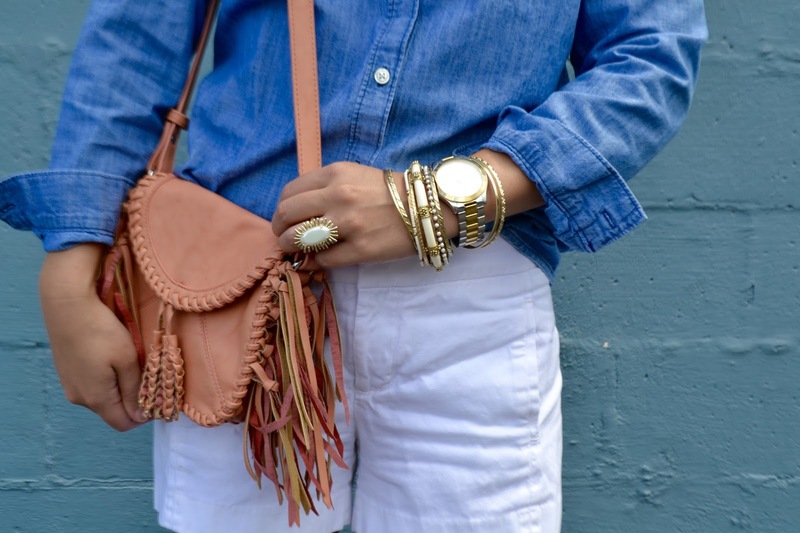 Today I paired with simple accessories because I've been loving delicate jewelry lately. However, if you're looking to rock your favorite statement necklace or earrings, this is the perfect occasion for just that! I hope you all had a wonderful weekend and are ready to tackle another work week! 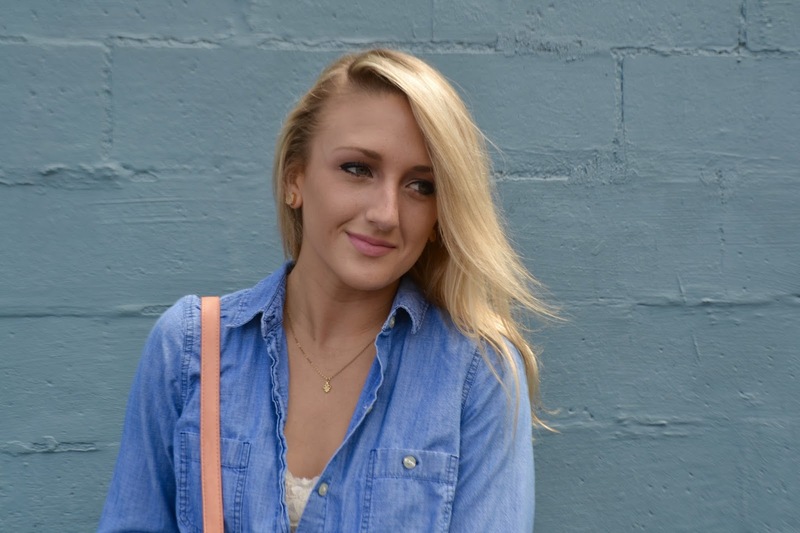 Love this chambray top on you! You look stunning in shorts! A great outfit! 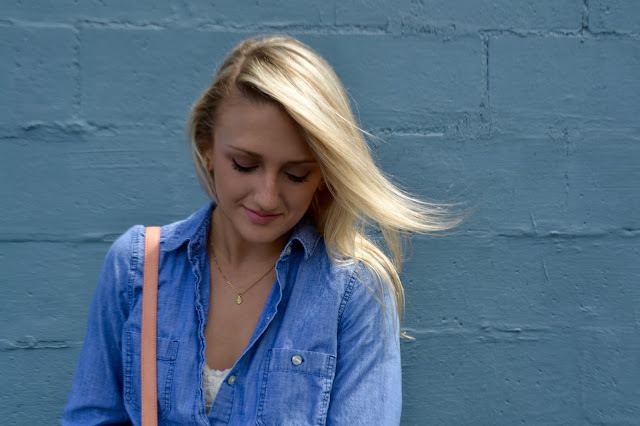 Aren't chambray tops the best?! I hope you have a great rest of your day!!! Kathryn you are so cute. I seriously love the chambray shirt paired with white pants- I feel like it's a summer staple outfit! I think that your gold details look perfect with this outfit.